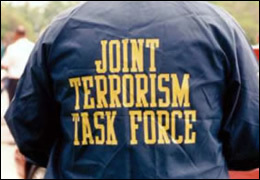 Members and partners of the FBI’s Joint Terrorism Task Force in the Washington Field Office, who were involved in a sting that targeted a plot to blow up the Washington area subway system in 2010, will be among those honored Oct. 4 in Washington at the Anti Defamation League’s second annual SHEILD Awards. The ADL, a Jewish organization which bills itself as “one of the nation’s oldest and most respected civil rights and human relations organizations”, created the SHIELD Awards in 2010 to honor law enforcement for protecting the American people from hate crimes and domestic and international terrorism. ADL works closely with agencies like the FBI and ATF to expose hate groups and their activities. The ADL anticipates about 300 law enforcement professionals and community leaders will attend the event. Members of the Baltimore Police Department and the Office of the State’s Attorney for Baltimore City for the investigation and prosecution of three individuals who assaulted 76-year-old African American man in a hate crime in 2009. Special Agent Michael Tarantino of the US Immigration and Customs Enforcement’s Human Rights Violators and War Crimes Unit, who in 2009 identified, located, and arrested a high ranking Argentinean Police official who was wanted for committing war crimes during the Argentinean Dirty War. Members of the Virginia Beach Police and Fire Departments for preventing a domestic terrorist attack at a local high school, which was scheduled to occur on April 20th, 2009, the 10th anniversary of the Columbine Massacre. ADL said the awards were determined by a Selection Committee of 18 law enforcement executives, including chiefs of police and other law enforcement officials from D.C., Maryland, Virginia and North Carolina. Posted: 9/20/11 at 8:36 AM under FBI, Milestone, News Story.